Bethesda Health Group has earned some very impressive ratings in the Centers for Medicare and Medicaid Services (CMS) Five-Star Rating System, especially in the area of staffing ratings. Quality measures on physical and clinical measures for residents. Each measure has its own five-star rating component. According to Kiel Peregrin, Corporate Vice President, Long Term Care, all six Bethesda skilled nursing communities have exceeded the norm by scoring at least a 4, if not a 5, in the staffing measure in recent CMS reports. The average national rating is three stars. The CMS target number for skilled nursing communities receiving this highest rating is just 10%, but Kiel says CMS “raises the bar every year” in terms of standards, making the Bethesda result that much more impressive. The measures have a direct bearing on care. Kiel points out that sufficient staffing, for example, reduces medical errors, resident complications and mortality. 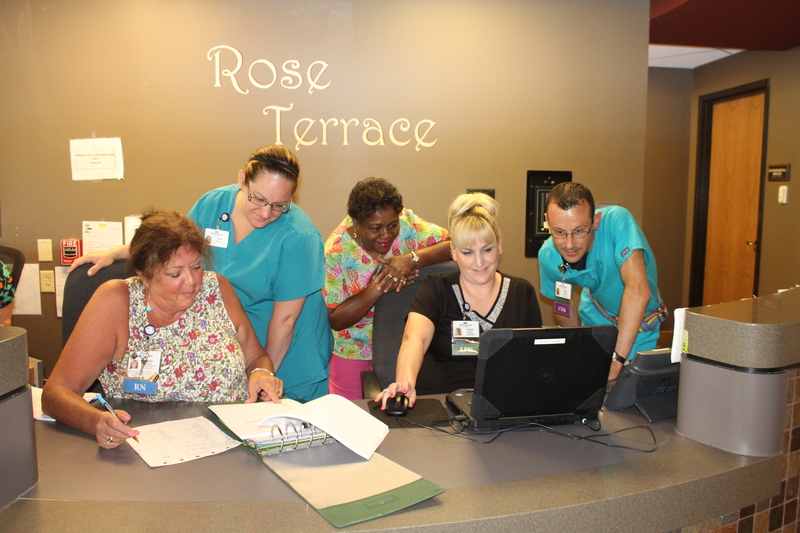 “It also shortens the time it takes to provide care because a sufficient number of staff members are available to attend to the needs of the resident,” Kiel says. According to Kiel, the high CMS ratings for Bethesda are a result of Quality Assurance and Performance Improvement meetings, which are held monthly at each Bethesda skilled nursing community. At these meetings, an interdisciplinary team comprised of the Administrator, Medical Director, Director of Nursing, a pharmacy consultant, a dietitian, and other department leaders address the current needs of that specific community. “The exemplary staffing ratings coincide with the Bethesda mission, which is to be the premier provider of care and services for seniors,” Kiel says. In addition to exceptional CMS ratings, Bethesda has been recognized by a number of civic and professional organizations for excellence in performance, customer service, and community responsibility. To learn more about skilled nursing or other senior living and care services in the St. Louis metropolitan area, contact us today.